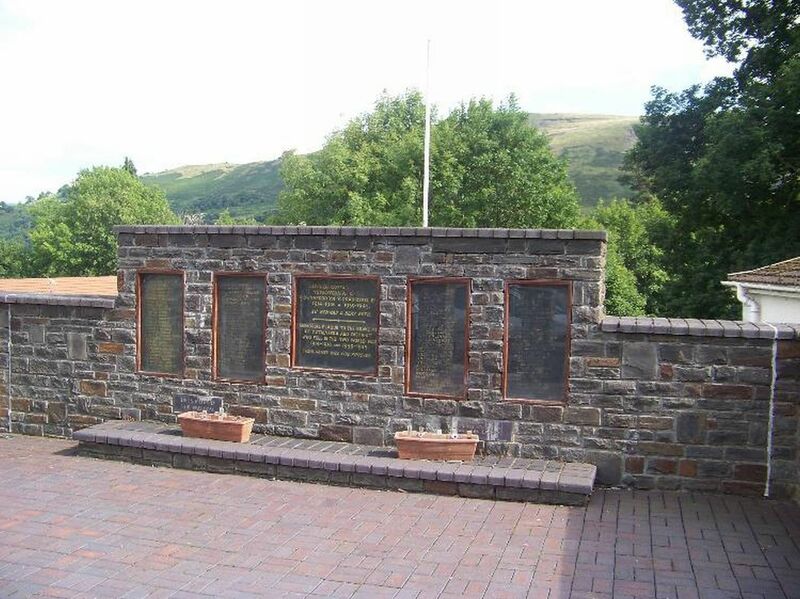 This is the memorial page for John Reynold Griffiths, native of Ystalyfera, killed during the First World War. The information on John Reynold Griffiths comes principally from the Commonwealth War Graves Commission, from the Labour Voice newspaper, and the Parish Burial Register (courtesy of the Swansea Archives). Additional Information Son of Mrs. Kate Esther Griffiths of 69, Wern Road, Ystalyfera. Book = Ystalyfera County School THE FIRST 50 YEARS; Entered as Private J. Reynold Griffiths Royal Welsh Fusiliers. It is with regret that we record the death of Private John Reynold Griffiths of the R.A.F., eldest son of Mr and Mrs. Wm. Griffiths (butcher) Wern Road, formerly of the staff of the Pantteg Schools, Ystalyfera. A sad feature of the case is that deceased, who was only 23 years of age, had come through the heavy fighting at Armentieres, and Ypres with the R.W.F., but had recently contracted influenza, and died on Saturday last at the 2nd London general hospital, Chelsea. His remains were accorded the military honours to Paddington Station on Tuesday night, and the body reached Ystalyfera on Wednesday morning. The funeral took place on Thursday at Holy Trinity Church when the Vicar officiated, the Revs Ben Davies, Pantteg, and William Jones, Zoar, being also present. The funeral was for gentlemen only, and the chief mourners were Mr Wm. Griffiths (father); Pte. Tom Griffiths, Mr Martin Griffiths (brothers) Mr Martin Griffiths, schoolmaster, Resolven; P.S. John Griffiths, Tylorstown; Mr Meurig Griffiths, Swansea; Mr Percy Nicholas, Llantrisant (uncles), and Mr Tom Morgan, Ynisgeinon (grand-uncle). Much sympathy is felt with the bereaved family in their sad loss. The death took place on Wednesday at Swansea General Hospital with tragic suddenness of Mr. Wm. Ewart (Willie) Griffiths, newsagent 71, Wern Road Ystalyfera. Deceased, who was 24 years of age, was taken ill on Saturday and removed to Swansea Hospital on Wednesday for an immediate operation. His death has come as a severe blow to his parents, Mr. and Mrs. Wm. Griffiths and family, to whom the sympathy of the district is extended. Deceased was of an industrious nature and had worked up a flourishing business as newsagent. Of a quiet and unostentatious nature, deceased was well liked by all and will be greatly missed. The funeral takes place on Monday at 4p.m. for Holy Trinity churchyard. Gentlemen only. 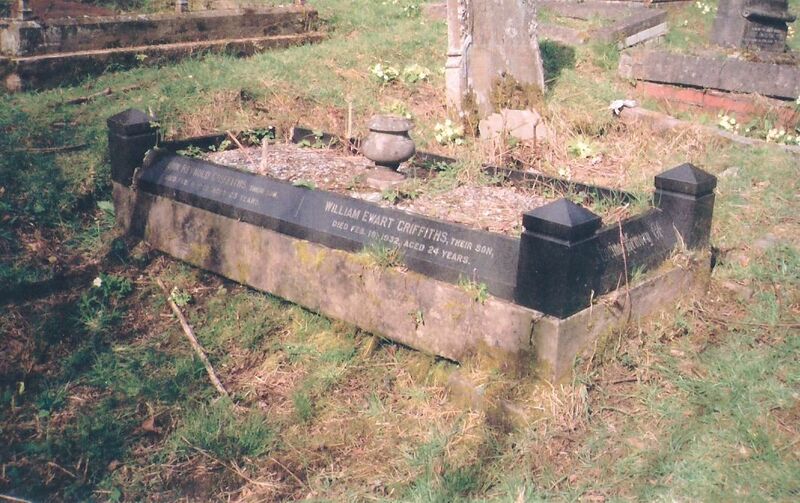 The burial of Mr. Willie Griffiths, Newsagent Wern Road, whose death was reported in our last issue, took place on Monday at Holy Trinity Churchyard. The service at the house was conducted by the Rev. Melville Phillips, English Congregational Chapel and the curate Rev. H.T.P. Lewis officiated at the grave-side. Wreaths were sent by; Mother, Tom and Lizzie. Martin………..
A painful sensation was caused at Ystalyfera on Sunday afternoon, when it became known that Mr Oliver Griffiths, butcher and grocer, of 71 Wern Road Ystalyfera, had been found dead in his shop. It appears that at about two o’clock in the afternoon, Mr Griffiths went into his shop to make up his accounts. About 4 o’clock his son, Mr Martin Griffiths, newsagent, 69 Wern Road Ystalyfera, called his father for tea. Receiving no reply to his knocking, he tried the front door, which was locked. He then went to the rear and finding that locked too, forced and entered the shop. He saw his father lying on the floor, and dragged him out as he thought he had collapsed. Deceased wore his cap and glasses at the time. 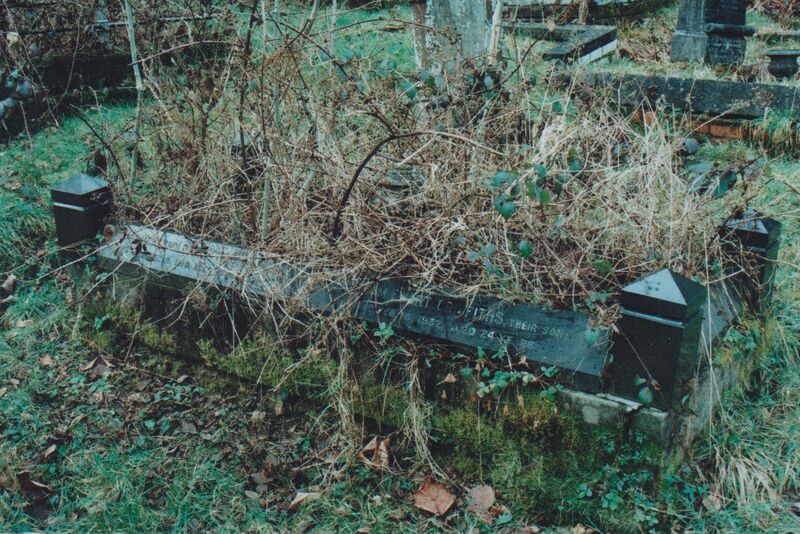 Mr Griffiths, who was 65 years old, had carried on business for many years and was highly respected in the district. THE INQUEST ………………………………………… verdict “Death by Misadventure” there being no evidence to show how the gas was administered. The funeral of Mr William Oliver Griffiths of 71 Wern Road, took place on Thursday, the interment being at Holy Trinity Church.